George Strait is country music’s Frank Sinatra. What he does looks effortless and spawns countless imitators, but none of them can actually replicate what makes him special. For many years, I assumed his longevity was due to a combination of great song sense and access to top-shelf material. But with time, I’ve come to understand that it’s Strait’s peerless talent as a true stylist that is the driving force. It’s not that he’s got a great ear for a hook, but that he can create a great hook with just his performance. He’s writing more of his stuff than ever lately, usually with his son. It’s telling that the quality of his worked hasn’t slipped as his reliance on Music Row songwriters has decreased. 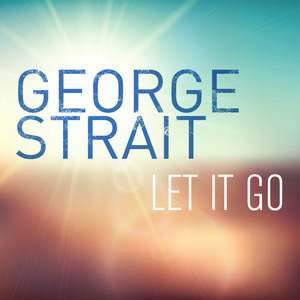 “Let it Go” fits seamlessly alongside all those hits he didn’t write, and there are nearly a hundred of them at this point in his career. It’s a breezy ode to the fragility of life and the need to let go all of the regret and bitterness that gets in the way of enjoying it. It’s another great single in a career that’s had more of them than any artist in country music history. Note: There’s no embeddable video of the song yet, but you can stream the audio at All Access now. We’ll upload a video when it becomes available! No matter how good King George’s version is, I will always prefer Queen Elsa’s. He is the King of Country. I saw him the first time when Eddie Rabbit got sick for the Houston Rodeo. We were like who in the hell is George Strait and the rest is history. We all know who he is, he is the best. If I live to be a 100 I will never witness another down home Cowboy that can rope and ride country singer like him. He has never sang a bad song and his latest is another hit . They have killed country on music row and I’m proud to say George Strait keeps his down home roots in no place but Texas. His son Bubba is doing an excellent job at song writing . I’m totally speculating with no right to do so, but I suspect that Bubba’s interest and talent in songwriting is what is keeping George Strait interested in still making albums. Otherwise, I wonder if he would’ve retired altogether? Bubba does seem to be a talented songwriter. I am with you on that. The father/son moment during the final concert on CMT was incredibly emotional for the King. The stoic Strait was in tears. I think he is taking advantage of his blessing of being able to work with a child. It probably hit home for him after his daughter passed away.